Take the B6138 Cragg Road and turn onto Churchbank Lane. 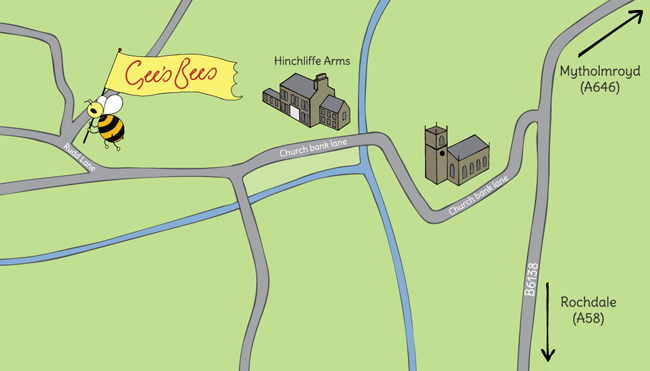 Travel past the church, over the bridge and we are 100 yards after the Hinchliffe Arms PH. The house, WOODLAND VIEW, is to the right of the Victorian Lodge & Arch as you go round the slight right hand bend where the road becomes Rudd Lane. Do not rely on your Sat Nav! My opening times are updated each Monday for the coming week and can be found here. Don’t forget to tick the “Check if you are human” box above or your email will go into my spam folder and may be missed.